In reviewing The Railway Children I must declare an interest. I love trains and the stage show of E.Nesbit's classic tale, that not so long ago was putting Waterloo's mothballed Eurostar terminus to good use, had long caught my eye. So with the production now having steamed across the river to a venue straddling some disused tracks between London's Kings Cross and St Pancras termini and with a 4-4-0 lovingly restored locomotive topping the bill, I could not resist. 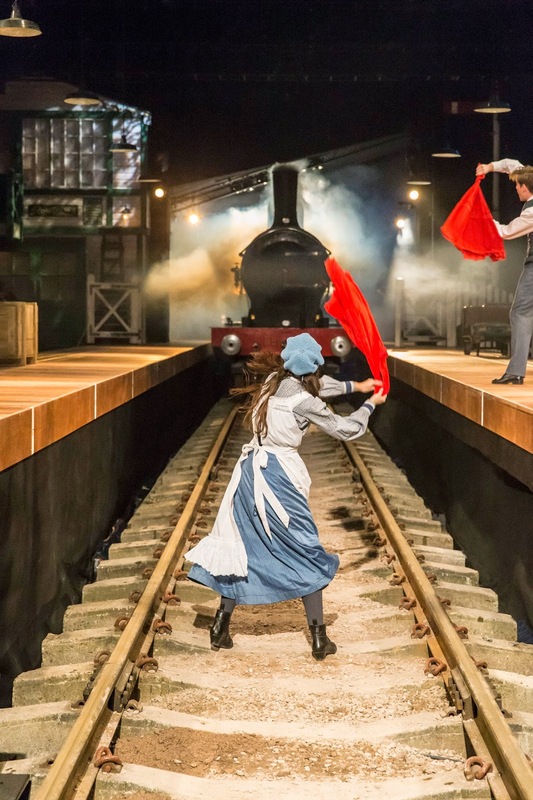 The history on display in this carefully crafted play goes far beyond England’s railway heritage. Notwithstanding Nesbit's socialist inclinations, she firmly believes in a class-divided England where everyone has their place. Class brings privilege and the responsibilities of noblesse oblige, but as ever it is moneyed wealth that brings the social mobility and connections that the Old Gentleman clearly enjoys. Humble stationmaster Perks proudly lives in poverty with his washerwoman wife and brood of six kids and there’s a glimpse too of a life before an NHS or welfare state, as the valiant railway children use their initiative to raise funds for mother's medication. Nesbit also throws in a political morsel, with the children’s father being wrongly imprisoned for spying - even the Government cannot be trusted. But enough of the politics, for The Railway Children was, is and always will be, to mis-quote Meghan Trainor, "all about that train". The venue is a carefully crafted tent, which on press night did well to see off the noisy blusters of Storm Rachel. The audience straddle an ingenious traverse that runs a platform length and in between which glide trucks (heroically manhandled by strapping stagehands) bearing the story’s tableaux. In the movie Jaws, Steven Spielberg famously kept the audience waiting for ages before getting sight of the shark. So it is here, with Cruden throughout act one suggesting the presence of passing trains by using light, sound and a fiendishly clever hidden machine that puffs billows of smoke up and down the track. The stagecraft is delightful and the suspension of disbelief, perfect. The cast all convince, suggesting time, place and above all, stiff upper lips. 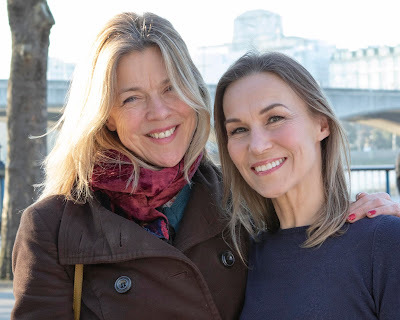 Jeremy Swift’s Mr Perks and Caroline Harker’s pre-Suffragette Mother lead the grown-up roles with conviction, whilst Serena Manteghi, Jack Hardwick and Louise Calf are the believably adolescent children. There is a delightful mise en scene too. As the audience take their seats (having entered via a themed foyer that would do the Disney Corporation proud), the piped in sounds of steam engines shunting and passing by are almost enough to suggest one has stepped back in time. And of course that famous final scene, all swirling smoke and steam as Bobbie rushes towards her freed father, crying "Daddy, my daddy!" will tug at heartstrings throughout the tent. But above all bravo to the city of York, and its National Railway Museum and Theatre Royal for getting behind Mike Kenny’s vision some years ago. As the first half ends, almost all of the ingenious illusions (and I'm not about to spoil the biggest illusion of the night) give way to reality as the huge and gorgeous steam train draws to a breathtaking halt, just managing to avoid the eponymous landslip. The audience cheer and the kids are open jawed in amazement. It is what theatre is all about!